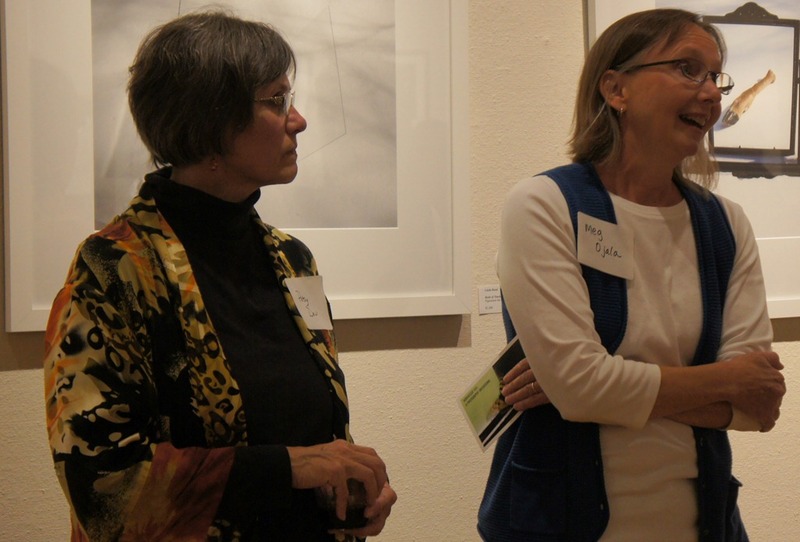 Last night the NAG hosted the opening reception for Northfield Ties: A Photography Invitational. This exhibit, curated by Patsy Dew and Meg Ojala, features the work of 13 photographers who have ties to Northfield. Digital, black and white, color, and panorama shots show the diverse range of photography being done in and around Northfield. Artists exhibiting are Patsy Dew, Scott Forsgren, Doug Foxgrover, Beret Griffith, Dennis McClintock, Meg Ojala, David Perez, Craig Perman, Stephanie L. Rogers, Linda Rossi, Leslie Schultz, Katie Shorey, and Cate Vermeland.